Today, we’re going to discuss the top MLM FOREX Companies. FOREX has become a top way for investors to make profits. FOREX trading has become huge! And now, MLM has found its way into FOREX trading. Central banks are a huge factor in the FOREX markets as they are trying to control inflation, money supply and interest rates. FOREX trading has been the object of many scams. Governments have made more rules and regulations regarding FOREX trading and brokers, but you should always “dig in” to any broker you may be using to ensure you are treated fairly. Multilevel marketing has now entered the world of FOREX trading. 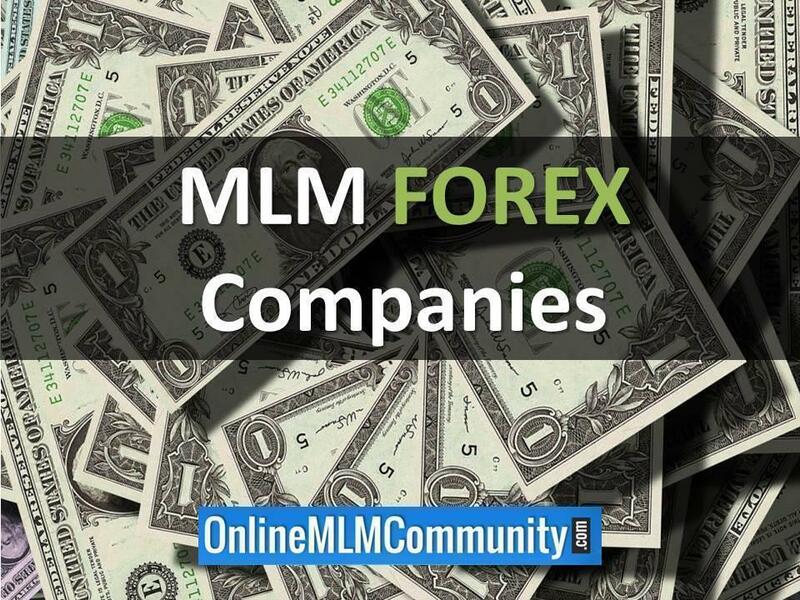 I found two MLM Companies that work in the realm of FOREX trading and I am going to tell you a bit about these companies. iMarketsLive Review: Is It Worth Joining? Disclaimer: Neither I nor Online MLM Community is affiliated with any of these companies. This list is provided strictly for your education. iMarketsLive was founded by CEO Christopher Terry and CFO Isis de la Torre. The company is headquartered in New York and also has an office in London. The company is not a broker per say, but sells education in FOREX trading as well as tools to help you make accurate trades. When a person joins iMarketsLive, they can use all of the educational materials and tools to learn the ropes. To make money, you do of course, use what you learn to make good FOREX trades. You can also recruit other members and earn commissions from their sign up fees. iMarketsLive has had its share of negative feedback, but it seems that many of the independent business owners are happy. The compensation plan is a 3 X 8 Matrix. You can see the iMarketsLive website here. This is a fairly new Forex MLM Company started by Reza Mokhtarian who had failed with another company called Kaizan Global. It is not clear where Quest Markets is headquartered. Not only can you learn to earn through trading, but as you recruit others into Quest Markets, you will get commissions on their sign up. 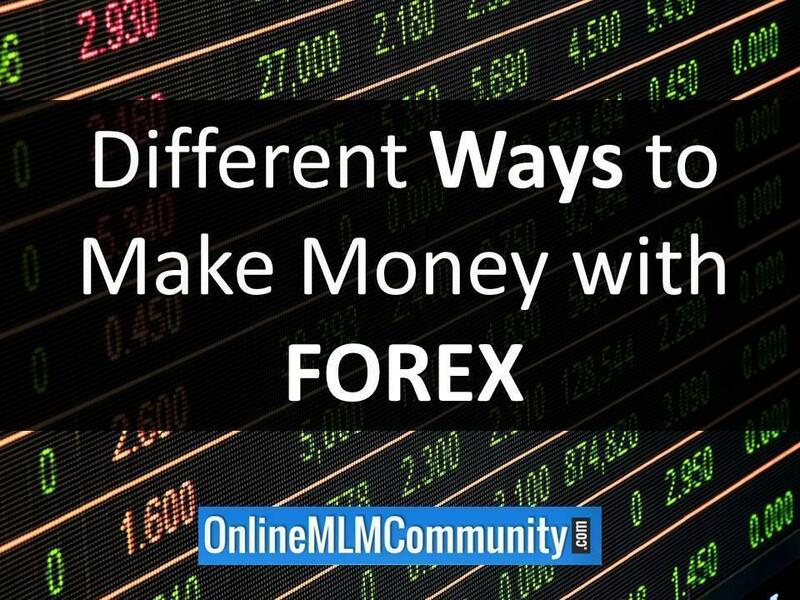 If you’d like to make money with FOREX, but not do MLM, you do have a few legitimate options. If you don’t want to make money selling FOREX affiliate products, you could just focus on day trading yourself. You could purchase an auto-trader or do it yourself. I’m sure you would go through a substantial learning curve, but once you figured it out, it could be quite profitable. Your third option to make money with the FOREX would be to blog, create a YouTube channel, a podcast, or Kindle books about the FOREX. You could also create your own information products and sell them. Your last option, that I can think of anyway, is to promote a different type of MLM Company. You could join my company. Or, you could find a niche, such as weight loss, skin care, or cosmetics and promote a MLM Company in that niche. I will not tell you whether you should take a chance with either of these MLM FOREX Companies. I have seen both negative and positive responses about both. As a person who writes for a major online investing website, I do suggest if you are planning on trading in FOREX, you do need to get educated about all the particulars, before you get started. There is a lot of free education at investingonline.com. I hope that helps you with any decisions you are trying to make. If you have any questions or feedback, feel free to comment below. Thank you.